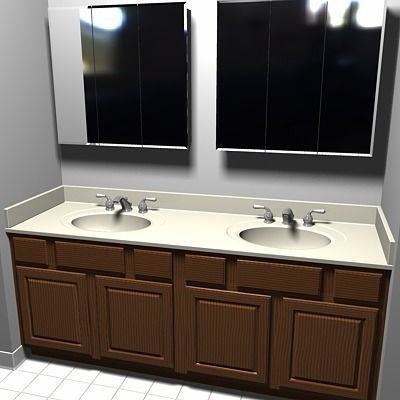 Detailed bathroom vanity (sink and light fixture) modeled in Carrara 4.0 and provided in .CAR, .3DS, and .OBJ formats. Includes countertop, backsplash, sinks, faucets, drawers, cabinets, mirrors, tiles, walls, and molding. Great for architectural interior scenes!